30,8 x 23,8 cm - 12 1/8 x 9 5/16 in. 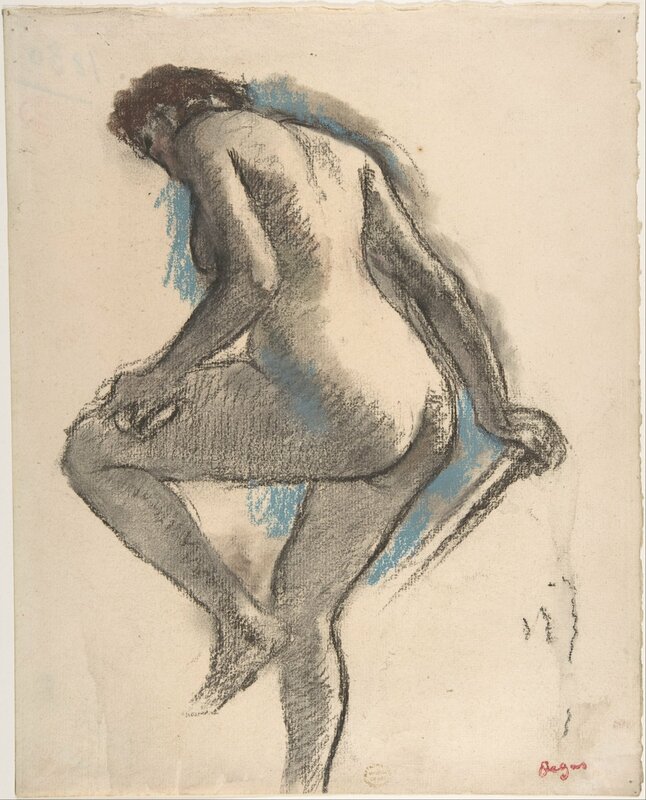 Atelier Degas – Vente Degas, 1918, II, n° 222 b – Metropolitan Museum, New York,1918. 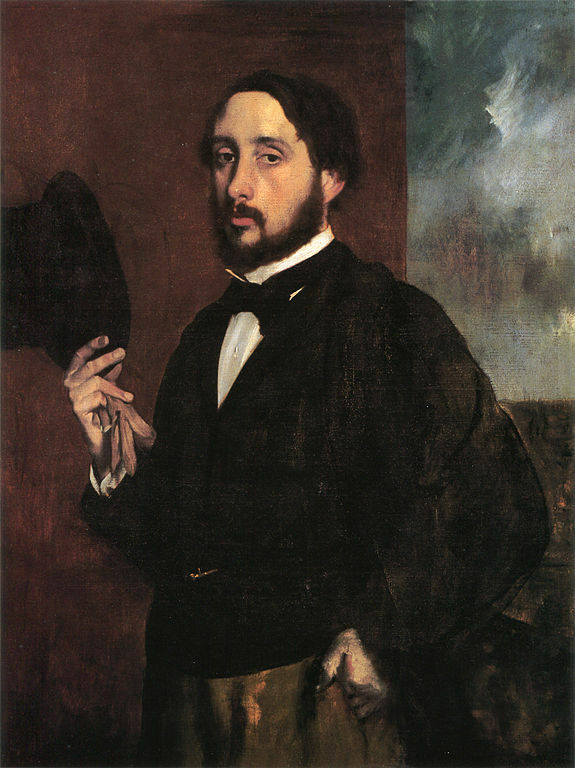 New York, The Grolier Club, 1922, Drawings and Bronzes by Degas - New York Metropolitan Museum, 1977, Degas in the Metropolitan - Paris, Ottawa, New York, 1988-1989, n° 254, repr. p. 423 - New York, Metropolitan Museum, 1997-1998, The Private Collection of Edgar Degas - New York, Metropolitan Museum, 2005-2006, Drawings and Prints. Selections from the Permanent Collection - Boston, Museum of Fine Arts, 2011-2012, fig. 127, repr. p. 117 - Melbourne, Houston, 2016-2017, (n.n. ), repr. p. 153. Bryson, Metroplolitan Museum of Art Bulletin 14, mai 1919, vol. 14, n° 5, p. 116-117 - Manson, 1927, p. 48 - Moffett, cat. exp. Metropolitan Museum, New York, 1977, n° 40 - Brame, Reff, 1984, n° 112, repr. p. 123 - Boggs, Druick, Loyrette, Pantazzi, Tinterow, cat. exp. Paris, Ottawa, New York, 1988-1989, n° 254, repr. p. 423 - Dumas, Ives, cat. exp. Metropolitan Museum, New York, 1997, fig. 374 (repr.) - Stein, cat. exp. Metropolitan Museum, New York, 1997, The Private Collection of Degas - Shackelford, cat. exp. Boston, Paris, 2012, fig. 127, p. 115,117, 185-186, 225 (repr. ).